Sorry to say, I lean toward the slob category. I would like to be neater, truly I would, but it will never happen. But I do like things that help me stay organized. A few years ago, I had a chunk of firewood from a pie cherry tree my folks had taken out. Knowing that it should have an interesting grain, I squared up the bottom and one side. Then with a band saw, I cut an arc across the top surface. 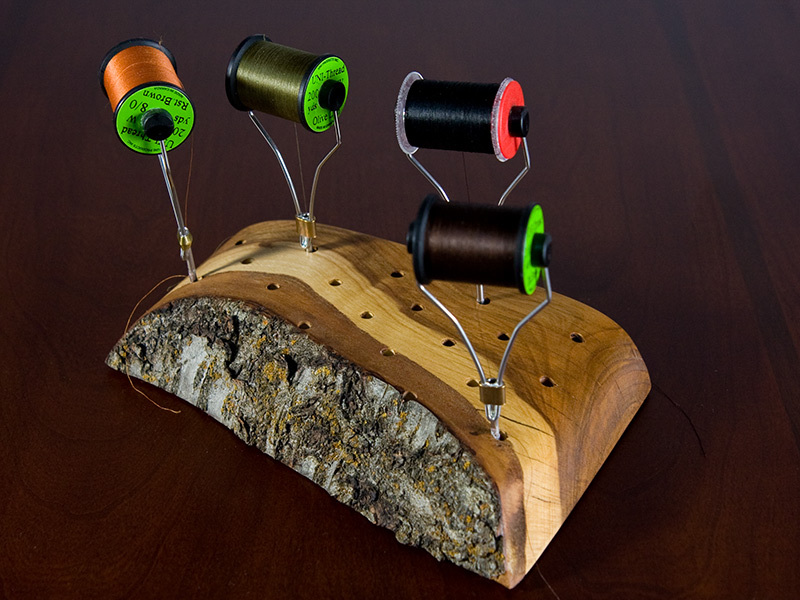 A few minutes on a drill press; a little sand paper; a little danish oil; and a bobbin holder appeared. I spiffed it up with four small, felt dots on the bottom so it would slide nicely. Now my bench is a tiny bit neater, and much prettier. I enjoy the look of natural wood. I even like the splits that showed up as the wood dried. You could use any old piece of scrap wood you have around. All tools are optional. Cool idea. I enjoy the uniqueness of wood, crazy grains, etc. 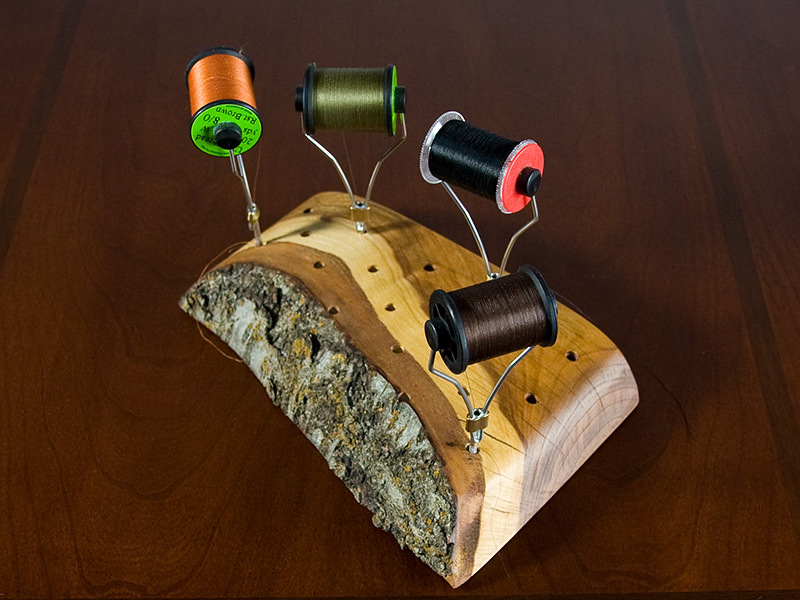 I’m looking for ideas for my tying desk/station and love this and the stacker pad. Thanks for sharing! Very inspiring!